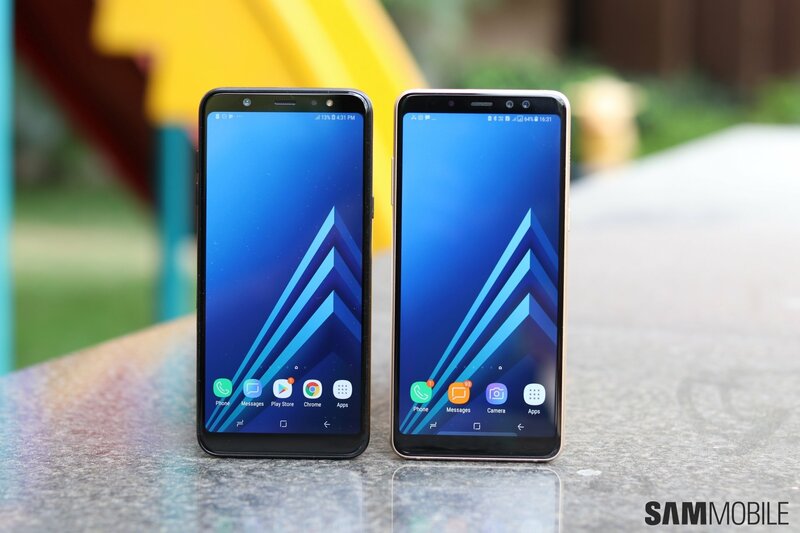 The Galaxy A6 and Galaxy A6+ are rather odd concoctions, created by Samsung by mixing elements of its mid-range and budget smartphones. The Galaxy A6 and A6+ are also different from each other in more than just battery capacity and screen size. 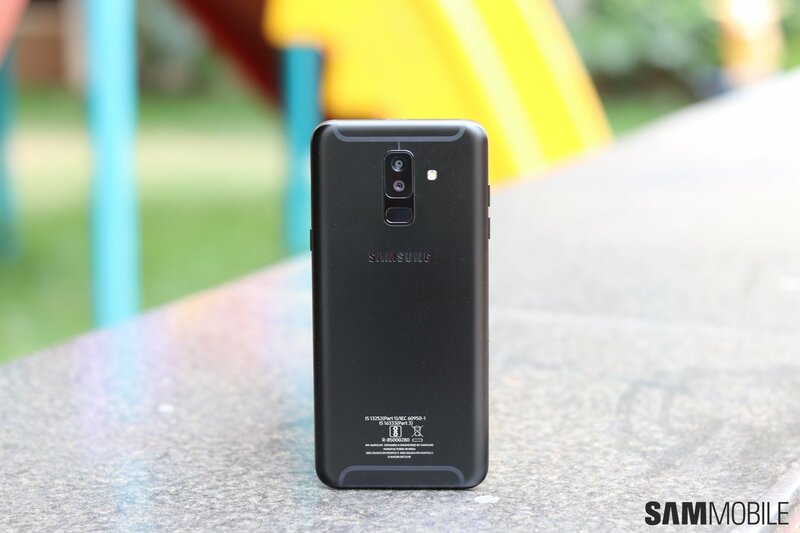 Like the Galaxy S9+, the Galaxy A6+ also has better camera specs. It’s not just a dual camera that the A6+ gets over the A6; it also has a higher megapixel count for the front camera. At 24 megapixels, it’s the highest-resolution front camera seen on a Samsung phone, but then the company has gone ahead and equipped the A6+ (and the A6) with a microUSB port. That’s just one example of the things the new A series phones have in common with their J series brethren. The other is that metallic unibody, which is exactly the same as seen on last year’s Galaxy J5 and Galaxy J7. The chipsets powering these handsets are also not very powerful, with the Galaxy A6 using the Exynos 7870 SoC and the A6+ getting the Snapdragon 450, both of which make do with eight Cortex-A53 cores. 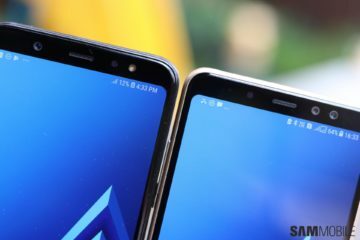 Of course, the fact that the A6 and A6+ are different from any other smartphone in Samsung’s galaxy of phones is what makes them so interesting. 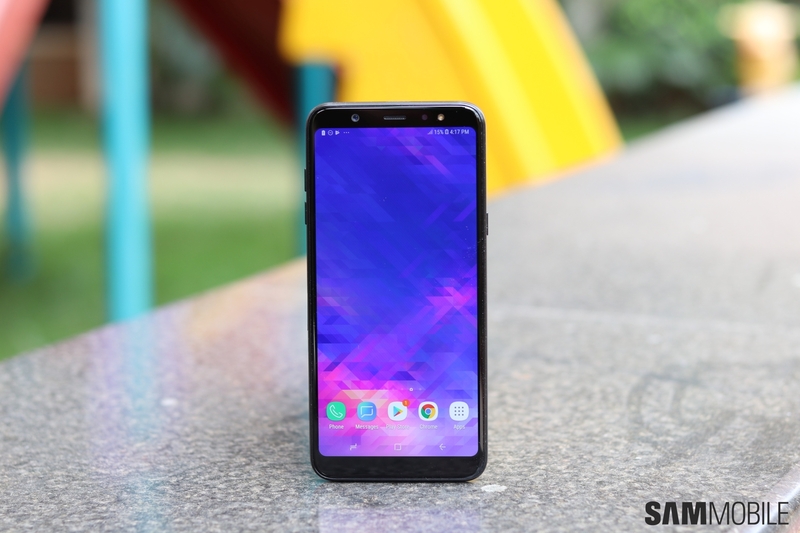 And, today, we’re going to be talking about our initial impressions of the Galaxy A6+, which I was able to use for a day or so before making the switch to the Galaxy J6 (read my J6 hands-on experience here). The first thought I had on taking the Galaxy A6+ in my hand was that it’s rather big. It’s pretty much the same overall size as the Galaxy A8+, but it’s also a tad taller than the Galaxy S9+. That’s despite the A6+ having a 6-inch display, 0.2 inches smaller than the S9+’. It’s just another reminder that Samsung’s non-flagship phones with Infinity displays have much more bezel than the flagship devices. 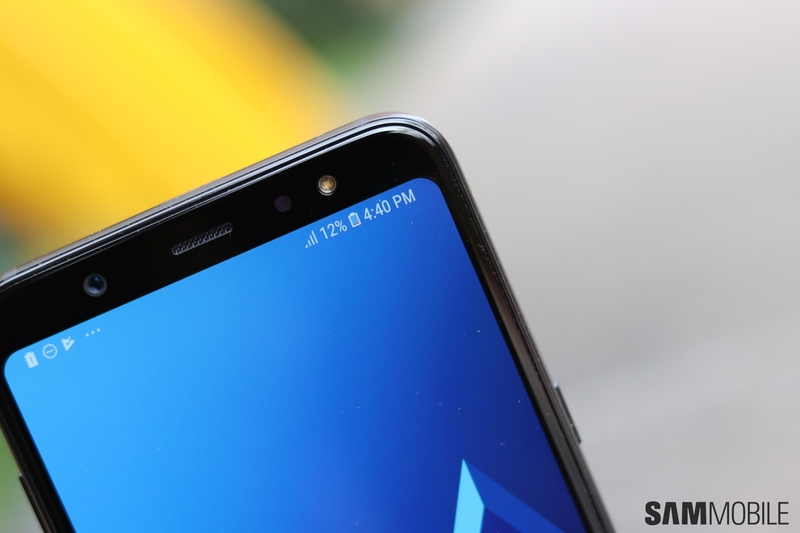 It’s one of the reasons why we like the curved edges of the Galaxy S and Galaxy Note devices, as they at least allow the side bezels to practically disappear. Not so on the mid-range and budget devices. The phone is also slippery because of the metal on the back, though I’ll need a few more days with it to say if it’s a problem in day-to-day usage. 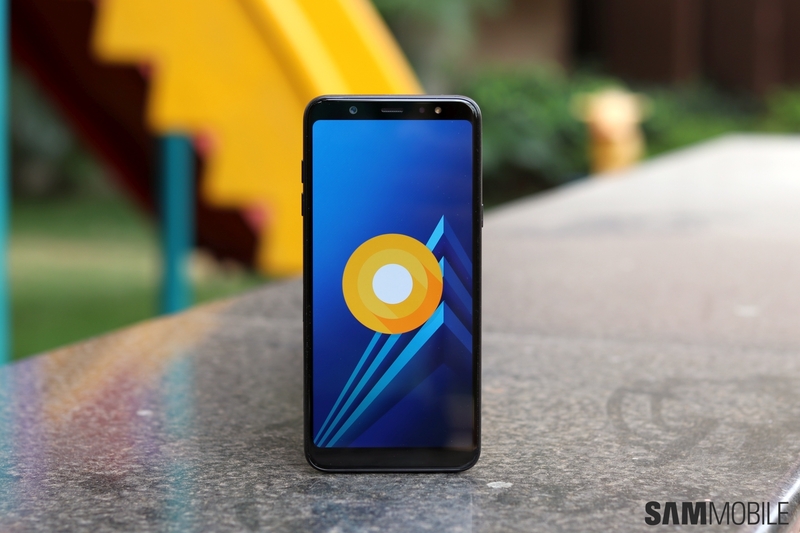 As for the fingerprint sensor, it is fairly easy to reach thanks to the vertically aligned cameras, a benefit you may not have on the regular Galaxy A6. The Full HD+ (2220×1080 pixels) Super AMOLED Infinity display, meanwhile, is pretty good. The colors don’t look too vivid, but that’s probably because everyone here at SamMobile is used to having Samsung’s Super AMOLED displays on most of their phones, making it all look alike after a point. Like the Galaxy J6, the A6+ has the display customization options that we see on flagship Galaxies with Infinity displays, so you should be able to tune the viewing experience to your liking. Now, about those cameras. While I can’t say how the dual camera on the back performs right now, I did take a couple of selfies and compare them with selfies taken on the Galaxy A8+. The 24-megapixel sensor seems to capture just a tad more detail than the 16 MP camera on the A8+, but the difference isn’t easy to notice unless you zoom in on pictures. Color reproduction seems to be better as well, and the A6+ also produces brighter selfies without notably increasing noise. I’m yet to take selfies in natural light, though, so you will need to wait for our review for a proper verdict on the cameras. One thing I didn’t like is that the A6+ comes with the camera interface from before the Galaxy S9. The Galaxy J6, for some reason, gets the newer UI. 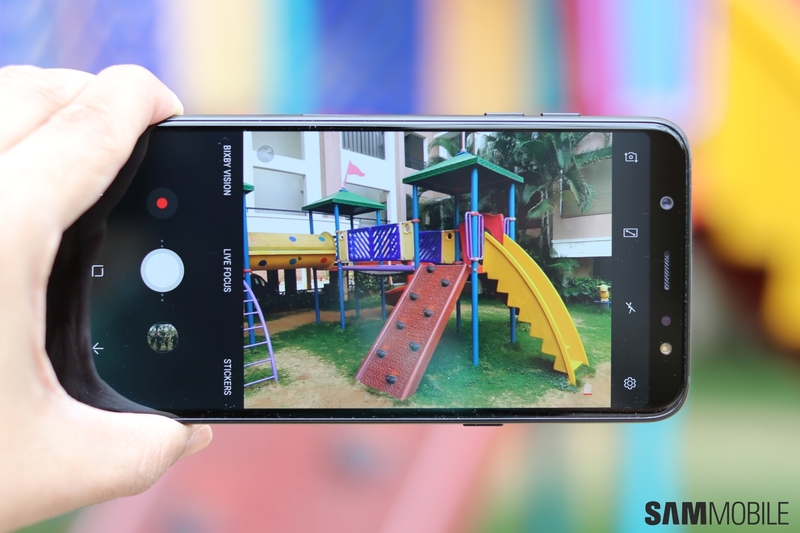 While the changes introduced in the camera app with the Galaxy S9 aren’t all for the better, it does result in software inconsistency that we thought Samsung had done away with. These devices launched around the same time, so there’s no reason one of them – the costlier one at that – should have to make do with older versions of some proprietary apps. There’s not much else I can say about the Galaxy A6+ at this point. On paper, it’s somewhat overpriced for what it offers. Missing features like fast charging and a USB Type-C port also make it clear Samsung’s aiming for the lower rung of the mid-range segment. It would be up to the high-resolution cameras, then, to make up for areas in which the A6+ is lacking. 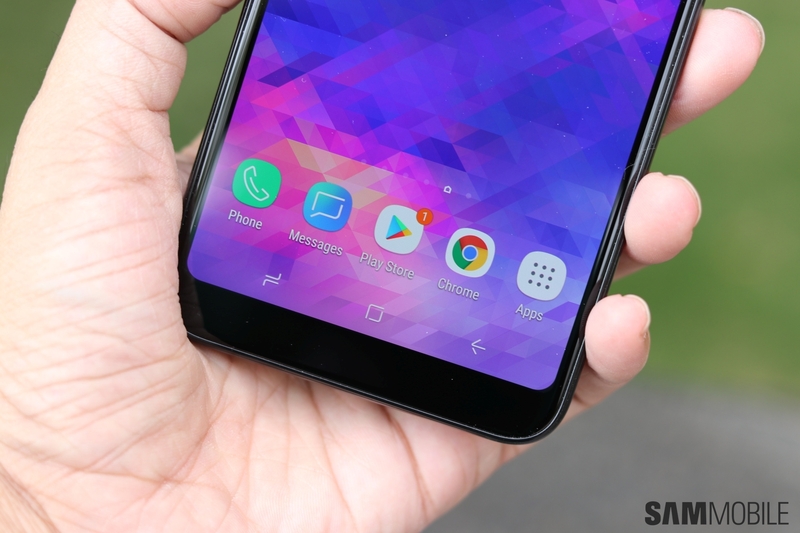 Whether that’s the case remains to be seen, so keep an eye out for our full review of the Galaxy A6+ in the coming weeks to see if it provides a real-life experience worthy of its price tag.